So far in this book we have covered two different types of Firebase user authentication for Android apps. The first involved the creation of user accounts based solely on the user’s email address and a password. These accounts apply only to the Firebase project with which the Android app is associated and are unconnected to any accounts the user might have on other platforms. The second approach, which was covered in the previous chapter, allows users to create an account and sign into Android apps based on existing Google account credentials. This has the advantage that the user does not have yet another login and password to keep track of along with those of other apps and web sites for which the user has signed up over the years. 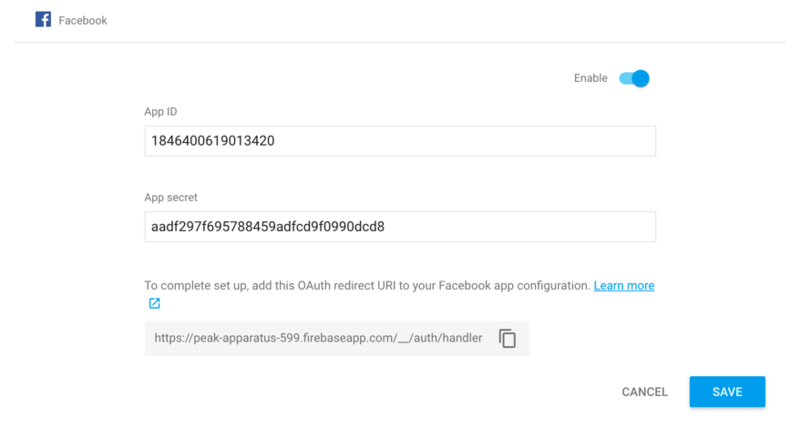 This chapter will continue the theme of using third-party credentials to create an account and sign into the example FirebaseAuth app by making use of the Facebook Login provider. 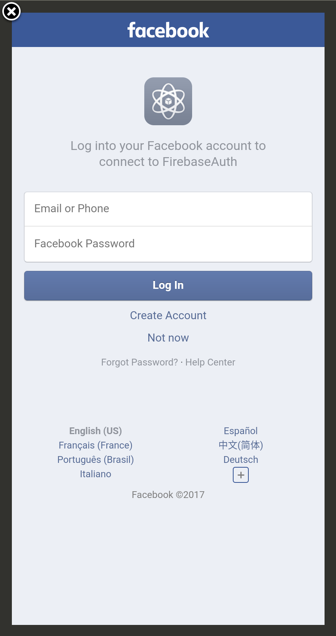 As with the Google Sign-in example covered in the previous chapter, most of the steps required to configure the project to work with Facebook Login have already been performed in the chapter entitled Email/Password Authentication using FirebaseUI Auth. These steps include connecting the project to Firebase from within Android Studio and adding the build dependencies to the Gradle build files. A number of additional steps are, however, required in preparation for adding Facebook Login support to the project. These steps will be outlined in detail throughout the remainder of this chapter. The Facebook App ID and App Secret serve as the connection between the Android app and the Facebook Login service. Each app that makes use of Facebook developer services in any way must have a unique ID and secret, both of which are assigned by Facebook via the Facebook for Developers site. If prompted, perform the security check task in the next dialog before clicking on the Submit button. Copy the OAuth redirect URI shown at the bottom of the dialog in preparation for a later step, then click on the Save button to commit the settings and enable the Facebook provider. When the Add Product link is clicked the Product Setup screen will appear containing a list of products that are available to be added to the app. 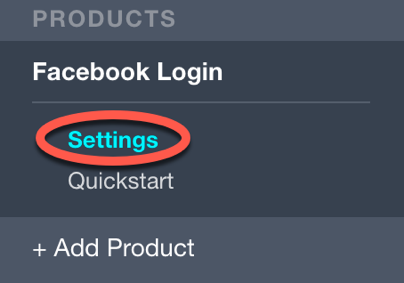 Locate and click on the Get Started button next to the Facebook Login product and choose Android from the platform selection screen. On the Android startup screen, click on the link that reads I already installed the SDK. On the settings screen, paste the Uri into the Valid OAuth redirect URIs field as shown in Figure 7-8 and turn on the Login from Devices option. Click on the Save Changes button before proceeding. The default password for the debug keystore is android. When you have an app ready to be published, return to these settings and paste in the release hash key into the same field. 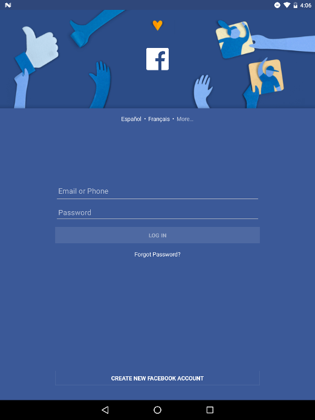 Sign in using a valid Facebook account and note that the account name, email address and profile photo all appear within the SignedInActivity layout. 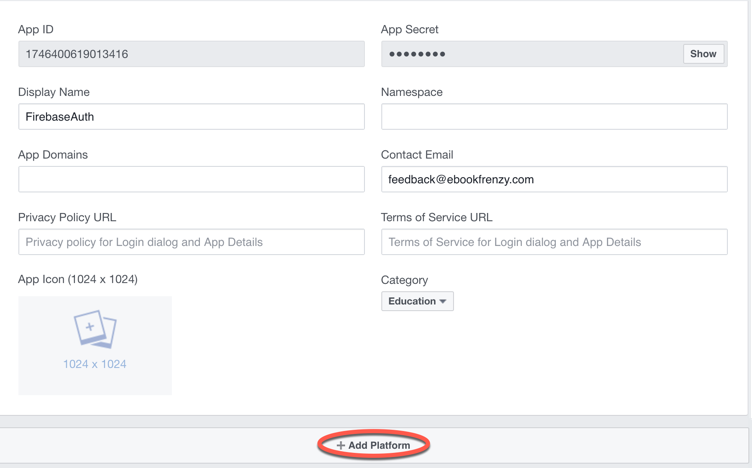 Integrating Facebook Login as a provider within a Firebase authentication configuration is a multistep process which involves creating and configuring an app within the Facebook developer portal, implementing the correct settings within the Firebase console and making project and code changes to the app project within Android studio. Once these steps have been performed as outlined in this chapter, users are able to create accounts and sign into the app using their Facebook credentials. This page was last modified on 30 August 2017, at 17:16.